Market Microstructure in Practice comments on the consequences of Reg NMS and MiFID on market microstructure. It covers changes in market design, electronic trading, and investor and trader behaviors. The emergence of high frequency trading and critical events like the “Flash Crash” of 2010 are also analyzed in depth. Using a quantitative viewpoint, this book will help students, academics, regulators, policy makers, and practitioners understand how an attrition of liquidity and regulatory changes can impact the whole microstructure of financial markets. A mathematical Appendix details the quantitative tools and indicators used through the book, allowing the reader to go further on his own. 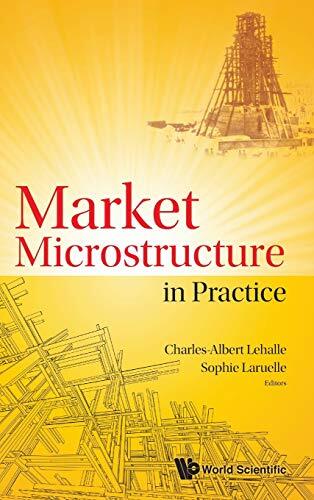 Currently Senior Research Manager at Capital Fund Management (CFM), "Charles-Albert Lehalle" is an international expert in market microstructure and optimal trading. Formerly Global Head of Quantitative Research at Crédit Agricole Cheuvreux, and Head of Quantitative Research on Market Microstructure at Crédit Agricole Corporate Investment Bank in the Equity Brokerage and Derivative Department, he has been studying the market microstructure intensively since regulatory changes in Europe and in the US took place. Currently Assistant Professor at Université Paris-Est Créteil (UPEC), "Sophie Laruelle" defended her PhD in December 2011 under the supervision of Gilles Pagès on analysis of stochastic algorithms applied to Finance. During her PhD, she made two contributions on market microstructure in collaboration with Charles-Albert Lehalle: the first one on the optimal allocation among dark pools and the second on optimal posting price in the limit order book. She then worked at Ecole Centrale Paris with Frédéric Abergel on agent-based models and she now continues to work on applications of stochastic approximation theory notably to market microstructure for building trading algorithms.